I finally finished the rewrite, which is now easier to make ports. I have begun the process of making this open source. I am working with PresJPolk to make a Mac port, and will be opened after the basic setup is done. Here is the updated Windows version. I added the ability to edit the split files, as well as most of the ini settings. This is done by contextual menus on each element on the screen as well as one on the main form. The edit screens are temporary and will be fixed up later. The ini file has changed because I split a section up to make it easier to read. I don't have a manual in this zip since it is out of date. I will work on that later. I have created a channel on SDA's IRC, #timesplittracker for development and for giving assistance. I finally finished the rewrite, which is now easier to make ports. I have begun the process of making this open source. I am working with PresJPolk to make a Mac port, and will be opened after the basic setup is done. Here is the updated Windows version. I added the ability to edit the split files, as well as most of the ini settings. This is done by contextual menus on each element on the screen as well as one on the main form. The edit screens are temporary and will be fixed up later. The ini file has changed because I split a section up to make it easier to read. I don't have a manual in this zip since it is out of date. I will work on that later. I have created a channel on SDA's IRC, #timesplittracker for development and for giving assistance. One of the features I have planned for PB Tracker (http://www.pbtracker.net) is to be able to submit runs automatically from a splits program upon completion of the run. Such a feature would make run tracking much more seamless than it currently is. Originally, I had thought about making my own web-based splits app to do this. However, I would much prefer this to be integrated into the already existing and popular split programs (WSplit, Llanfair and Time Split Tracker) rather than developing yet another splits program myself. To the authors of these split programs: is there any interest in integrating such a feature into your splits program? For WSplit, I understand that Wodanaz is no longer active and the code is not open-source, so I'm guessing there's not much we can do there. For Llanfair and Time Split Tracker, I understand that Xunkar and dunnius are open-sourcing soon for their respective programs, so these seem like much better candidates. To everyone else: are there any others interested in such a feature? One of the features I have planned for PB Tracker (http://www.pbtracker.net) is to be able to submit runs automatically from a splits program upon completion of the run. Such a feature would make run tracking much more seamless than it currently is. Originally, I had thought about making my own web-based splits app to do this. However, I would much prefer this to be integrated into the already existing and popular split programs (WSplit, Llanfair and Time Split Tracker) rather than developing yet another splits program myself. To the authors of these split programs: is there any interest in integrating such a feature into your splits program? For WSplit, I understand that Wodanaz is no longer active and the code is not open-source, so I'm guessing there's not much we can do there. For Llanfair and Time Split Tracker, I understand that Xunkar and dunnius are open-sourcing soon for their respective programs, so these seem like much better candidates. To everyone else: are there any others interested in such a feature? As a note, Nitrofski currently has a hold of WSplit and within the last week has already added many new features. Well, since I've been advertised here, I'll say it too. I've indeed been working on WSplit lately (got the code from decompiling the .exe) and release a preview version. This version adds nothing over the other split timers we can find here, but is just an overview of what I'm willing to do with WSplit. Version 1.5 has some bugs, obviously, but I'm working on fixing them. In respect to Wodanaz' work, I shared his own mediafire folder in my "Previous versions" folder. I would be happy to add a submission feature to Time Split Tracker. All I need to know is the protocol and it should be easy to add that. I can also use my own database server to store this if there is not another in place. It would be easier for me to use my own since I would be using a familiar socket protocol that I helped design for work. Edit: I think I will start on it now, and also adding a feature to store split files, which was mentioned before and what I was thinking it was initially. For the PBTracker, I suppose the submission only needs the username/password, the game name (probably abbreviated) and version being played, and the time. I would be happy to add a submission feature to Time Split Tracker. All I need to know is the protocol and it should be easy to add that. I can also use my own database server to store this if there is not another in place. It would be easier for me to use my own since I would be using a familiar socket protocol that I helped design for work. Edit: I think I will start on it now, and also adding a feature to store split files, which was mentioned before and what I was thinking it was initially. For the PBTracker, I suppose the submission only needs the username/password, the game name (probably abbreviated) and version being played, and the time. I could talk to the creator of Llanfair about the auto-submission thing if it's possible to add, if you wish, rggibson. Hopefully i'll get an answer. Would be cool if auto-submission got integraded to all of the good timers, some prefer Llanfair over Wsplit and TimeSplitTracker and vice versa. I could talk to the creator of Llanfair about the auto-submission thing if it's possible to add, if you wish, rggibson. Hopefully i'll get an answer. Would be cool if auto-submission got integraded to all of the good timers, some prefer Llanfair over Wsplit and TimeSplitTracker and vice versa. Hey! Good work on pbtracker there, looks awesome i must say and might supersede my own project ( allspeedruns.com ) in time. However, the idea of auto-submissions should probably be implemented in a modular fashion with regards to the future and with thoughts about the latest discussions about the SRL leaderboards. I know i'd very much like people to be able to auto-submit as well and i'm pretty sure that the upcoming SRL leaderboards would benefit a great deal from that as well which would lead to a good option for people to choose what they like. @Nitrofski, is it okay if we mirror your version of WSplit and post updates about it? @dunnius, would you mind implementing something like that for allspeedruns.com as well? A suggestion would be that you first request a list of the current games & categories (we don't allow runs outside of predefined categories at the moment) and then you can choose from those. You can reach me at kokarn@gmail.com if you want to discuss this further. Hey! Good work on pbtracker there, looks awesome i must say and might supersede my own project ( allspeedruns.com ) in time. However, the idea of auto-submissions should probably be implemented in a modular fashion with regards to the future and with thoughts about the latest discussions about the SRL leaderboards. I know i'd very much like people to be able to auto-submit as well and i'm pretty sure that the upcoming SRL leaderboards would benefit a great deal from that as well which would lead to a good option for people to choose what they like. @Nitrofski, is it okay if we mirror your version of WSplit and post updates about it? @dunnius, would you mind implementing something like that for allspeedruns.com as well? There is a database in place and we have the ability to set it up however you want :) A suggestion would be that you first request a list of the current games & categories (we don't allow runs outside of predefined categories at the moment) and then you can choose from those. You can reach me at kokarn@gmail.com if you want to discuss this further. Thanks! Just don't hardcode the server location guys, please! If all three of these popular timers had PB Tracker auto-submission capabilities, my mind would be blown. @adde I tweeted at Xunkar and it doesn't sound like he will be getting to such a feature any time soon. He also wants to work with an API, but currently PB Tracker has no API. Not to say that one couldn't be built, but someone would have to build it and I'm running out of time that I can spend on this project. @Nitrofski As a WSplit user myself, I am super stoked that you are working on improvements for it. I'm really looking forward to your future releases. And let me reiterate, PB tracker auto-submission from WSplit would blow my mind. If all three of these popular timers had PB Tracker auto-submission capabilities, my mind would be blown. @adde I tweeted at Xunkar and it doesn't sound like he will be getting to such a feature any time soon. He also wants to work with an API, but currently PB Tracker has no API. Not to say that one couldn't be built, but someone would have to build it and I'm running out of time that I can spend on this project. @Nitrofski As a WSplit user myself, I am super stoked that you are working on improvements for it. I'm really looking forward to your future releases. And let me reiterate, PB tracker auto-submission from WSplit would blow my mind. Let's say I just finished a run. When I go to reset / close the timer, a pop-up window asks if I would like to submit this run to PB Tracker (this pop-up can be enabled/disabled from settings). I choose yes, which opens a new tab in my browser and takes me to PB Tracker's submit page. The time input on the submit page is auto-filled with my final run time, along with any other inputs that I have given labels to in the splits program (such as game, category). Finally, I can fill out any additional information that I choose to (console/version and whether this is a new best known time) and hit submit. While this is what I was imagining, and while this likely requires less work on both ends, I'm happy to consider true auto-submission (i.e. don't have to go through the browser) if it doesn't require a complete overhaul to PB Tracker's back end. To be a bit more clear, what I actually had in mind was not a true auto-submission feature, but more of a submission-assistance feature. Here is what I was imagining: Let's say I just finished a run. When I go to reset / close the timer, a pop-up window asks if I would like to submit this run to PB Tracker (this pop-up can be enabled/disabled from settings). I choose yes, which opens a new tab in my browser and takes me to PB Tracker's submit page. The time input on the submit page is auto-filled with my final run time, along with any other inputs that I have given labels to in the splits program (such as game, category). Finally, I can fill out any additional information that I choose to (console/version and whether this is a new best known time) and hit submit. While this is what I was imagining, and while this likely requires less work on both ends, I'm happy to consider true auto-submission (i.e. don't have to go through the browser) if it doesn't require a complete overhaul to PB Tracker's back end. A popup would be annoying, especially when one is streaming. What I have designed so far is that the login info, server/port, and game name/category are filled out beforehand since it is not likely to change as much. That way when the setting is turned on, it will submit without bothering the user, unless there is an error. I am now working out the communication protocol in PMs. Speakin of tracking times, one feature I'd like to see is WSplit keeping track of the times for completed runs (options for just the final time or final + split times) of a given game. It would be interesting to see a graph window representation of the progress made across all attempts much the same way Llanfair can display a graph comparing split times during a run. I added a feature which can be turned on in the ini file or from the options menu to log the splits of a completed run on completion. This gets saved in a file that is the split file name but appends "-RunLog", which is the same method as what the split savestate currently does. This stores the splits in a single line with the date/time, so that it is easy to see all the runs in the text file. I will add graphing next, but may as well release this since there are currently no data points right now One side effect of this is that it acts as a backup of the best run. I added a screen for graphing the log data (from the file menu). You can choose from any of the splits (which compare the elapsed since that makes the most sense) or from the run which uses the time of the last split. You can also choose how much data to display. When showing by date, it shows all runs without regard to date spacing. I have to write my own graph so I can add date spacing. Also it shows the times in seconds right now because I can't control the display, but that will also be fixed. I've been working out the protocol for uploading splits with the web sites and should have that feature done soon. I added a screen for graphing the log data (from the file menu). You can choose from any of the splits (which compare the elapsed since that makes the most sense) or from the run which uses the time of the last split. You can also choose how much data to display. When showing by date, it shows all runs without regard to date spacing. I have to write my own graph so I can add date spacing. Also it shows the times in seconds right now because I can't control the display, but that will also be fixed. I've been working out the protocol for uploading splits with the web sites and should have that feature done soon. and if someone is really interested, there are alot of issues/features that needs to be fixed/added. please note that this timer is for Mac only. i know ewaller expressed interest in making it closs-platform but i have no interest in that. wsplit is great for windows. so far the only thing ive done is make the start/split key the same (numpad 0), added option for how many decimals to show, and a new icon for it. i probably wont post in here when i do updates on it, unless there is interest for it. i'll probably just stick with github, and maybe twitter. The automatic submission of splits is finally complete. Right now it only works for allspeedruns, but it will work for pbtracker when its implementation is complete. Other sites can be added to the list in AutoUpload.ini so I it is not hard coded. AutoUpload.ini contains the username and password for the current server, but there are options in there to make it not save the username and/or password in case security is a concern for you. I modified the run logging to include data for reset runs. This means that the log format changed slightly. But it can be converted by inserting a column after the date and putting the text C in there. The history graph screen now shows how many resets have been done, a percentage, and the average time for when a run was reset. I will add graphing for reset data after I redo the graphing. The current graphs only show data for completed runs. Reminder for myself: I need to add the newest ini settings to the editing from the contextual menus. Speaking of which, now that I've finally used it, modifying the split file from contextual menus is so much easier. But right now the top priority for me is working on the Mac version. I need to get the basic stuff done before making it open source so that there is something to work from. BTW, all features run with WINE on my old mac, so there is that in the meantime. Again, I have created a channel on SDA's IRC, #timesplittracker for development and for giving assistance, etc. The automatic submission of splits is finally complete. Right now it only works for allspeedruns, but it will work for pbtracker when its implementation is complete. Other sites can be added to the list in AutoUpload.ini so I it is not hard coded. AutoUpload.ini contains the username and password for the current server, but there are options in there to make it not save the username and/or password in case security is a concern for you. I modified the run logging to include data for reset runs. This means that the log format changed slightly. But it can be converted by inserting a column after the date and putting the text C in there. The history graph screen now shows how many resets have been done, a percentage, and the average time for when a run was reset. I will add graphing for reset data after I redo the graphing. The current graphs only show data for completed runs. Reminder for myself: I need to add the newest ini settings to the editing from the contextual menus. Speaking of which, now that I've finally used it, modifying the split file from contextual menus is so much easier. :) But right now the top priority for me is working on the Mac version. I need to get the basic stuff done before making it open source so that there is something to work from. BTW, all features run with WINE on my old mac, so there is that in the meantime. Again, I have created a channel on SDA's IRC, #timesplittracker for development and for giving assistance, etc. I'm hoping to find time to look at that soon myself, helping with that port. Also lamban I'd be happy to hear about updates. I'm hoping to find time to look at that soon myself, helping with that port. Also lamban I'd be happy to hear about updates. Per request, I added cumulative totals for the counters, which are now displayed in the menu alongside the current split's counter. So 2/5 means 2 for this split, 5 total. The totals will be put in the last split's notes after its counters. This was a little bit more difficult than I thought because undoing a split has to remove that split's counters from the totals. Another reminder for myself is to add in-program customization for the counters. Right now it is ini only. Per request, I added cumulative totals for the counters, which are now displayed in the menu alongside the current split's counter. So 2/5 means 2 for this split, 5 total. The totals will be put in the last split's notes after its counters. This was a little bit more difficult than I thought because undoing a split has to remove that split's counters from the totals. Another reminder for myself is to add in-program customization for the counters. Right now it is ini only. Thanks for continuing this project dunnius. I'll test the Mac version whenever these guys port it.  Regarding splits for game time, there's ShitSplit. It's good for games like Sonic and Punch Out that tell you game time after every level/round (admittedly not many). I put it here because I don't think it was ever really announced. The author doesn't have a lot of time to work on it, so if anyone want to try their hand improving it feel free. Thanks for continuing this project dunnius. I'll test the Mac version whenever these guys port it. Regarding splits for game time, there's [url=https://www.dropbox.com/s/aacys2f25717gio/BleedingEdgeNigga.7z]ShitSplit[/url]. It's good for games like Sonic and Punch Out that tell you game time after every level/round (admittedly not many). I put it here because I don't think it was ever really announced. The author doesn't have a lot of time to work on it, so if anyone want to try their hand improving it feel free. Autouploading run times is now complete! Right now allspeedruns.com and pbtracker.net are the 2 web sites that work with this. I also finally got around to updating the manual. Thanks for the work on the auto-submission, dunnius! I'll have to try it out soon myself. Minor change -- If the auto-upload is on and a split file is loaded, it will bring up the auto-upload screen to change/verify the game information. That way a user is less likely to forget to update the game info when loading another split. Side note -- you can hit escape in any of the subscreens to close them quickly. It is useful here. Minor change -- If the auto-upload is on and a split file is loaded, it will bring up the auto-upload screen to change/verify the game information. That way a user is less likely to forget to update the game info when loading another split. Side note -- you can hit escape in any of the subscreens to close them quickly. It is useful here. Minor fix to make Time Split Tracker show up in OBS's list of windows for video capture. This means that the background color for the text to show that there are notes or a best split cannot be used. I changed it to underline the time, which looks much better because it is much more subtle. I added an option to display an image for the background for Time Split Tracker. That way it is easier for those who want something more fancy in the background. The image will not be stretched, so any uncovered area will have the set background color, which can be useful for smaller images. The image filename can be changed in the ini file in BackgroundFileName in Layout, or through the contextual menu for the main settings by right clicking on an area where there are no text. (Sometimes it helps to hide the attempt counters temporarily to create an empty place) This means that the background color for the text to show that there are notes or a best split cannot be used. I changed it to underline the time, which looks much better because it is much more subtle.